Rs.10,000 crore set up for venture capital in the MSME sector, for providing equity, quasi equity, soft loans and other risk capital. The earlier promise by the government was Rs.5,000 crore fund, which we did not hear of any action. The definition of MSME will be reviewed to provide for higher ceiling, therefore many more companies can fall under the MSME benefits. Rs. 100 crores is proposed for “Start Up Village Entrepreneurship Programme” for encouraging rural youth to take up local entrepreneurship programs. References to nationwide “District level Incubation and Accelerator Programme” for incubation of new ideas and providing necessary support for accelerating entrepreneurship. Rs. 200 crore corpus is proposed for technology centre network to promote innovation, entrepreneurship and agro-industry. Rs. 200 crore will be operationalized through IFCI, for SC/ST startup entrepreneurs. FDI upto 49% in defence and insurance. Budget did not talk about FDI in multi-brand, as this government is very cautious on the subject. There was no reference to Companies Act 2013. The government is planning to modify the Apprentices Act and entrepreneur friendly legal bankruptcy framework to be developed for SMEs to enable easy exit. Earlier to budget, there were discussions on modifying the Factories Act and labor reforms. We’ll have to wait to hear more on that. New Section 142A : Valuation Officer will estimate the value, including fair market value, of any asset, property or investment, based on report by Income Tax Assessing Officer and the assessee. Advance tax ruling facility will now be provided to resident tax payers as well. Harmonized GST is still a far cry. eBiz platform by making all business and investment related clearances and compliances available, with an integrated payment gateway. E-visa (Visa on arrival) facility to be provided in a phased manner. To start with, in 9 airports. Clean drinking water at rural, urban and cities. Sports education, training and others. As it stands now, dividend tax is calculated on the net amount that is to be paid to the shareholders. 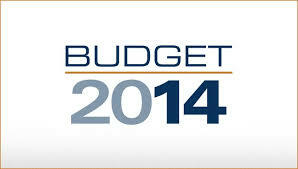 The Budget proposes computing the tax on the ‘grossed up’ amount. i.e. the tax will be levied on the amount of dividend inclusive of the tax. As an example: If a company wants to pay Rs. 100 as dividend, then it has to pay a dividend distribution tax of Rs.15 and the balance will be paid to shareholders. Effectively, the company which would pay Rs 13 as tax, and the balance Rs 87as dividend to shareholders will now pay Rs.15 as tax. Income arising to foreign portfolio investors from transaction in securities will be treated as capital gains. This entry was posted in Articles, Uncategorized and tagged budget, budget 2014, entrepreneurs, fund managers, India Budget, SME's, Startups on July 11, 2014 by novojuris.